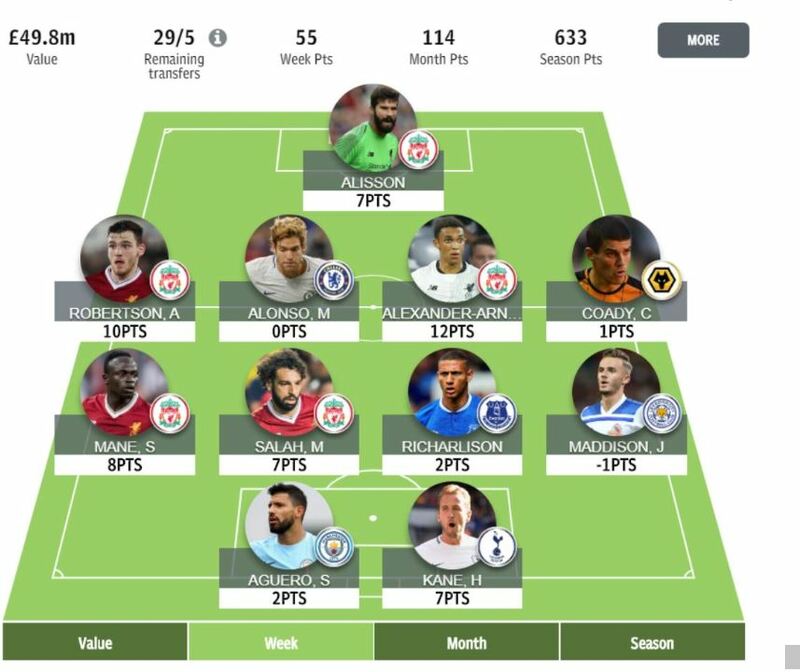 My 5 Liverpool players all brought in decent points this week and Kane scored one to give me a respectable total of 55 for the week. That’s where the positivity ends however as it only brought be a 2k increase in rank, which for where I am needs to be more. My transfer was Mendy > Richarlison which I made pretty rashly after being set on swapping for Laporte all week. It has also meant that I’m 0.1m short of doing Mane>Sterling as I wanted to do soon. My future plans involve getting more city attacking coverage. Mane>Sane looks a reasonable move. Sane should get much more gametime with Mendy injured and him needing to provide the width Mendy would usually provide and Bournemouth at home is a good fixture to bring him in. There are no close opportunities where City play after Liverpool so I’d rather do this sooner rather than later. David Silva is also an option as he has performed very consistently over the season. 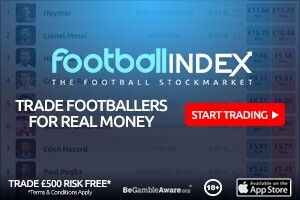 I am also looking at the extended kind fixture run of West Ham and potentially swapping Maddison for Anderson but I still feel I need to see a couple more West Ham matches before I make that move. I considered Hazard for the Fulham game but Hazard’s form and underlying stats have fallen a lot recently and Fulham look more rejuvenated under a new manager. What an abysmal week where TAA somewhat saved it. I dropped around 200k places. The 50/50 captain call between Salah and Aguero I got wrong. I took a -4 to get rid of Mendy and Rcharlison and bring in Alonso and Richarlison. Alonso had been punishing me since I took him out on my wildcard and I wasn’t expecting too much straight away so that’s ok.
Richarlison was more disappointing as I was expecting something against Cardiff. Hazard has failed to return since I brought him in. Jimenez was about 1cm ball movement off a goal too. Even so, I don’t plan on making a transfer this week. I plan on giving Hazard a last chance against Fulham before next week doing a double move of Aguero>Kane and Hazard > Sterling/Sane. If Hazard can convince me to stay in my team then I may do Salah>Sterling too. 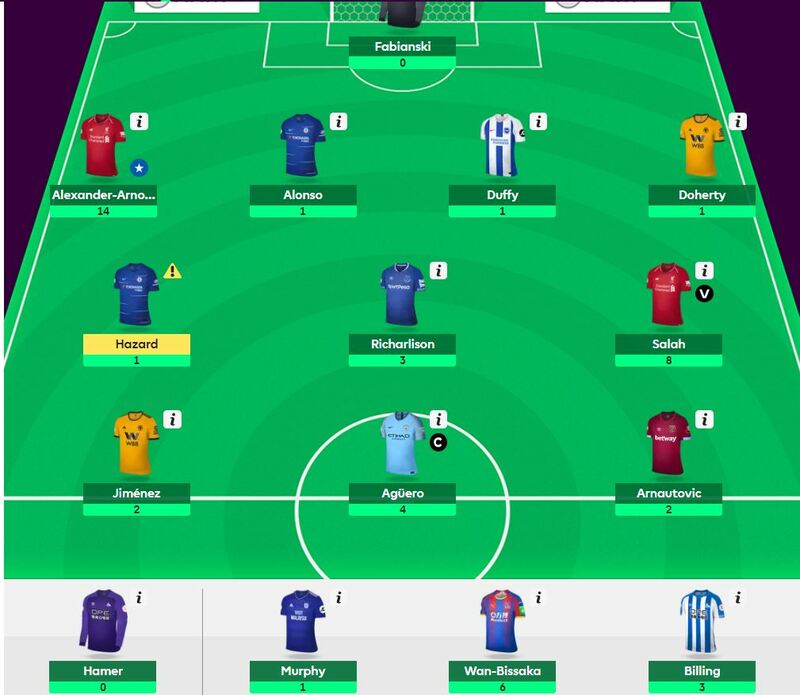 I haven’t ruled out doing the Hazard > Sterling/Sane option this week. Captain will likely be Aguero. A small overall rank of around 5k (as of the end of Tuesday’s matches). Generally happy with my team other than Hart. I swapped the injured Trippier for Doherty to get some extra funds. Doherty seemed good value ahead of a few decent fixtures but so far hasn’t paid off. It does mean I can do Richarlison to Sane which I will do subject to line-ups this weekend (not got enough for Sterling and the transfer needs using up). I’ll want a way of getting Trippier back once he returns though so next months transfers will be interesting. See also Andrew Ferguson’s teams. 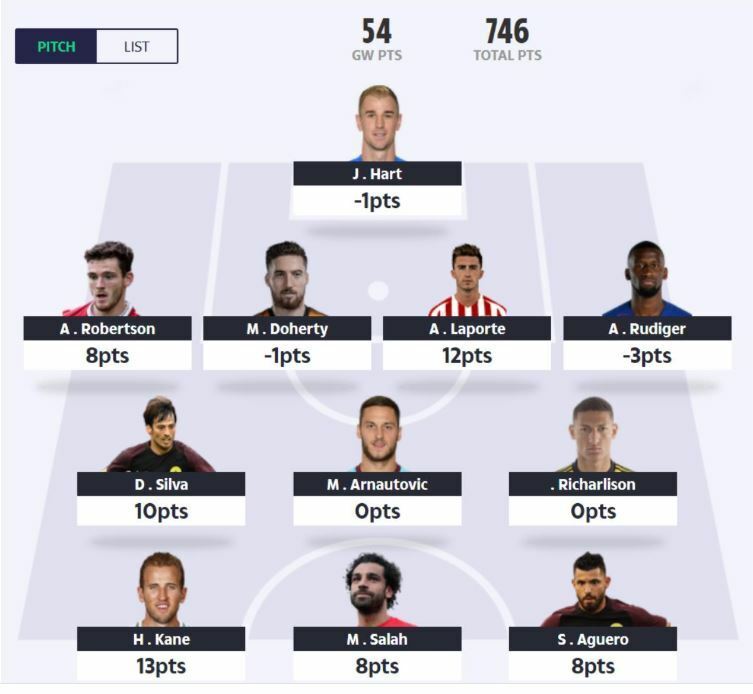 Andrew finished top 1k in TFF, Sky and FPL plus 15k in Sun in 17/18.